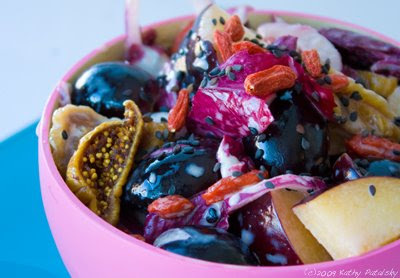 Purple Power Antioxidant Salad. Fruit. Veg. Flavor. 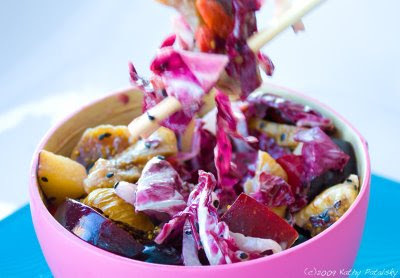 Here's my recipe for a purple-themed dish: Purple Power Antioxidant Salad. It's pure purple bliss. 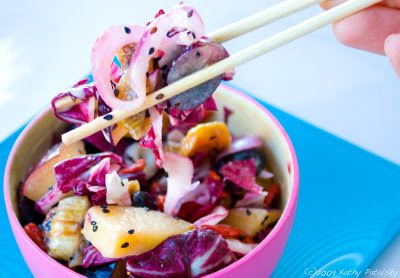 This salad has a complex Asian-influenced sweet-bitter-tangy flavor you'll love! Fruit. Veg. Flavor. Power Lunch. Eat this salad as is, or on top of a pile of mixed greens. Add in some protein-rich 2-minute tempeh and lunch is a healthy flavorfest. 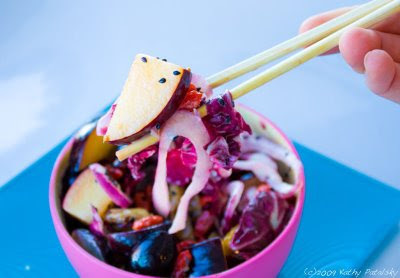 This salad awakens your senses and perks up your mood. 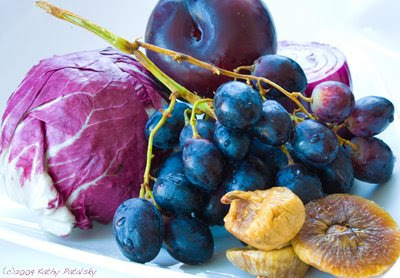 Sweet grapes, figs and plums provide a quick, natural, antioxidant-infused energy boost. Mother Nature's caffeine and vitamin pill is served. Saute sliced dried figs and 1 tsp olive oil in a skillet for 3-5 minutes, until slightly caramelized. 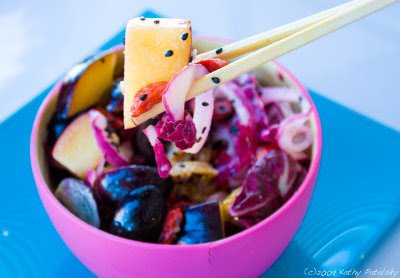 Add all ingredients to large bowl and mix well. Serve right away or chill in fridge. Serve over a bed of fresh mixed greens or as is. 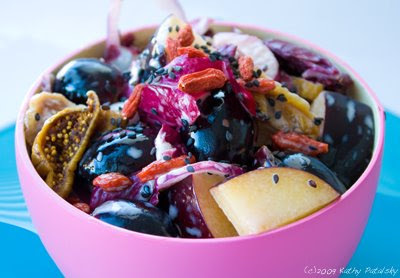 Sprinkle top with black sesame seeds.